Odisha HSC Admit Card 2019: Board of Secondary Education (BSE), Odisha 10th class/HSC admit card is expected to release soon on official website, bseodisha.nic.in. All the students pursuing in High School Certificate (HSC) in Odisha state can download the admit card as soon as the download link is accessible. The Odisha BSE has recently released the HSC time table 2019 recently. Students who are going to appear for HSC/Class 10th examinations can check Odisha BSE 10th date sheet 2019 clearly to check the subject-wise exam dates by download it. All the students who are going to appear for the update regarding class 10th/HSC admit card release date. The hall ticket will be made accessible for the students before 10 days of the examination (approximately). By visiting the Odisha BSE website, students can easily find the hall ticket link and download it. More details regarding Odisha HSC hall ticket/admit card 2019 are shared in this article. 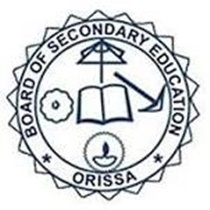 The Board of Secondary Education, Odisha is the state level education board that was established in the year of 1955 by the state government of Odisha. The board offers secondary and higher secondary education in the state of Odisha. The board offers affiliation to many of the government/private/aided schools and colleges in the state of Odisha. Yearly, the OBSE conducts the HSC/class 10th, CHSE/Plus 2 examinations in the months of March/April and releases the results in May/June months. The Odisha BSE is all set to conduct the academic examinations for the academic year 2018 -19 for all classes. Students can get ready for the exams. All the students going to appear for the Odisha HSC/10th Class academic examinations 2018-19 can download the hall tickets from the OBSE official website, bseodisha.nic.in. Students can download Odisha HSC Hall ticket 2019 before 10 days of the examination (approximately). Hence students pursuing 10th class/HSC under the Odisha Education Board can get ready to download the hall tickets. The hall ticket release date will be announced by the OBSE before the exams. Hence students can stay checking the OBSE portal for the latest updates. Go through the admit cards clearly after downloading. If any printing mistakes appear in name, sir name, date of birth or any other field, students can complain to the corresponding schools in which they are studying. The hall ticket/admit card must be taken to the examination without fail. If the candidate fails to carry the admit card, he/she will not be allowed to attend the test. Hence to overcome this trouble all the students are informed to carry the admit cards as a must. Also, reach the examination centers before 30 minutes of the exam time to avoid the late reaching problems. Students who got little late to the examination will not be allowed to attend the exam. Hence all the students must report the exam in time. On the homepage, ‘HSC Admit Card 2019 download’ link will be activated.